Did you know that eating a healthy diet with the right vitamins and minerals may help you enjoy a cleaner bill of health at your next dental exam? 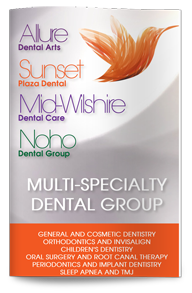 Our West Hollywood dentist, Poneh Ghasri DDS, recommends that her patients eat a well-rounded diet in order to meet their nutritional requirements. A special focus should be placed on those foods that promote good dental health. Vitamin C is critical for a strong immune system and can promote gum health by helping prevent periodontitis. Good sources of vitamin C include bell peppers, tomatoes, broccoli, citrus fruits, strawberries, raspberries and mangoes. Vitamin D is produced in your body when your skin is exposed to the sun. It helps your body absorb calcium, which is essential for strong teeth and bones. Vitamin D also has anti-inflammatory properties that can reduce your risk of gum disease. Get more vitamin D in your diet through eggs, mushrooms and fatty fishes, such as sardines, salmon and tuna. Enriched milks and juices can also be great sources of vitamin D.
Vitamin A has powerful antioxidant properties essential for battling the free radicals associated with tooth decay and gum disease. Eggs, butter and liver are all good sources of vitamin A. Carrots, leafy green veggies and potatoes are also good sources of vitamin A. Learn more about how you can eat your way to good dental health by calling us today to schedule your next dental exam, cleaning, x-rays.